"QlikView business intelligence platform: White Paper"
The most flexible Business Intelligence (BI) platform, QlikView, allows its users to gain valuable insights by understanding the fine line between the relevant data and the redundant data. It stimulates unrestricted analysis of application data, thus helping users make timely and accurate decisions. If you are already aware of the above mentioned BI platform, then here’s an investment solution that would add on to the values of your Qlik investment. This white paper reveals the concealed facet of the same BI tool that could be coherently integrated with an extension facilitating freedom and flexibility for everyone in the company, in terms of analyzing planning data. 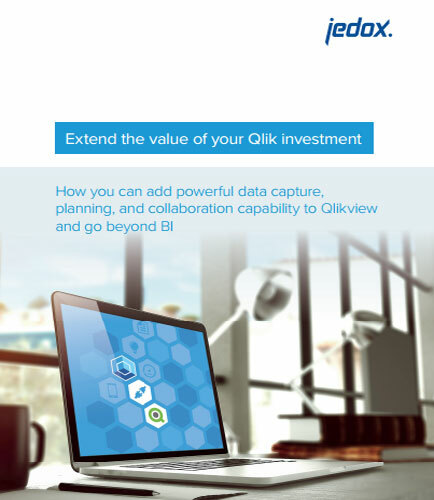 This QlikView white paper unfolds how you can enhance your Qlik system with data capture and write-back to the database as well as specific planning functionality such as easy top-down planning and driver-based bottom-up planning, unifying Business Intelligence (BI) with Corporate Performance Management (CPM).